Thanksgiving is all about family, food, and football. And Autumn’s first introduction to this special day included all of the above. We celebrated with a group of 17 in Novato, and Autumn was passed around like one of the side dishes. She didn’t want to miss any of the fun and insisted on staying awake nearly the whole day. 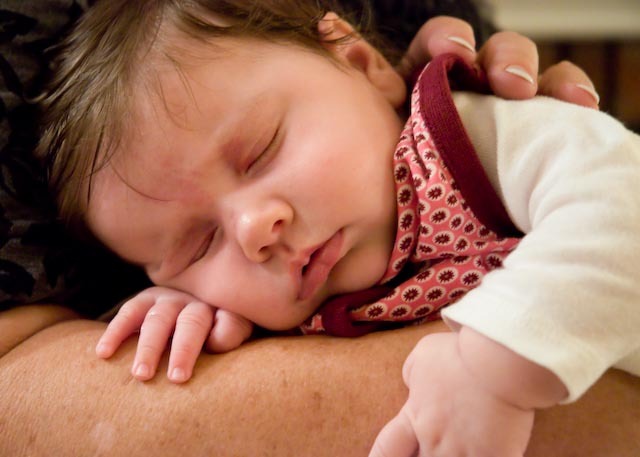 She was passed out in Grandma Mary’s arms by the time her dad’s delicious pumpkin pie was served. My heart swells when I think about all I am grateful for this year. We were blessed with a healthy happy pregnancy and now we have this new little life that makes us a family of three. I’m a mom. Wow. How do you begin to give thanks for a gift like that?